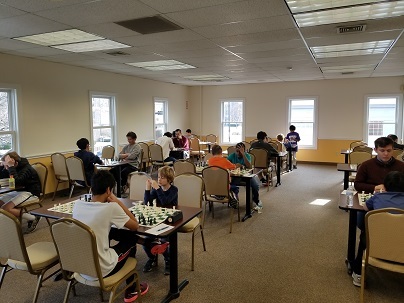 This week’s Saturday Quads hosted 30 eager players. 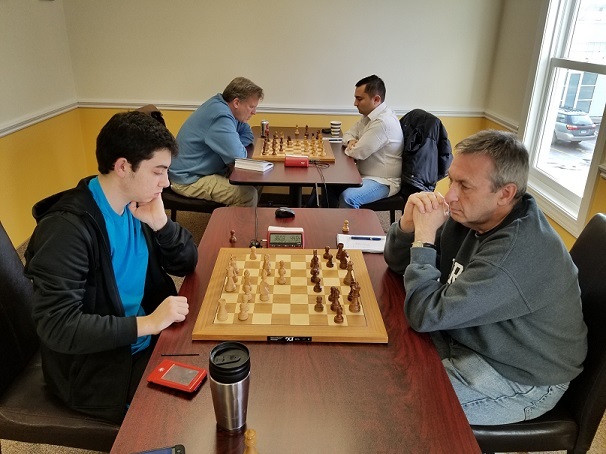 In quad one, FM Leif Pressman clinched first place with two wins. Joseph Bihlmeyer and Leo Bykhovsky won the second and third quads, respectively. There was a tie in the fourth section; both Will Frank and Neilson Gordon ended the day with two points. In quad five, Yide Liu also won his section with two points. 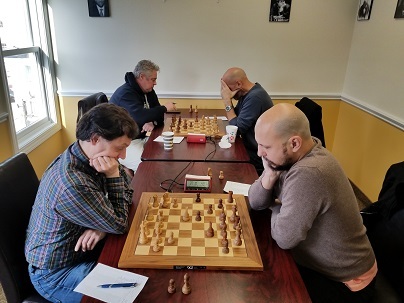 Finally, Tim Liu and Zachary Thayer tied for first place in the bottom swiss, with 2.5 points each. Congratulation to all the winners and thank you to all the participants. We hope to see you all again soon!